The Lost Sheep - Blind Faith Live! Real People. Real Miracles.BLIND FAITH LIVE ! Real People. Real Miracles. Worried About Your Lost Sheep? Which one of your sheep has gone astray? We all worry about loved ones whose faith has faded. This episode will give you hope. God never gives up on the lost sheep. To help tell the story in this podcast, myformer radio cohorts, Terry Moir and Jim McIntyre, will be joining me. I remember how God came to find me back in 1999. As I eagerly followed Him back to the flock, I looked around only to find that my wife wasn’t on the same path. We were both headed in the same direction, but on parallel roads. Spouses often travel down separate paths and, sometimes, at different speeds. What does God do with that? God bent our paths of faith into each other. The collision created Blind Faith Live. This was a miracle in itself. 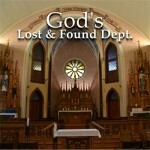 My former radio mates, Jim McIntyre and Terry Moir, join me to share their stories of being lost and then found. Jim and his wife stopped going to church when their son, Matt, was young. Would this create permanent damage for the entire family? Terry had gone down a path that made her believe she needed to be baptized a second time. Is that ever necessary? Both Terry and Jim have been strengthened by the Insights of Dr. Issam Nemeh. Amy Ruvolo found her way to a closer relationship with God through a healing service. 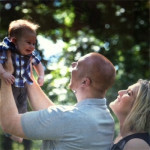 And, now her baby, Camden, just had an eight-month condition reversed in the blink of an eye. A constantly unhappy baby was transformed into the poster child for peacefulness. It took just one visit with Dr. Issam Nemeh to alleviate the pain and suffering of little Camden. This entry was posted in Dr. Issam Nemeh, Miracle Moments, Miracle Prayer and tagged Faith, Good Shepherd, Lungs by Philip Keller. Bookmark the permalink.